The City of Providence has been awarded a Community Planning Challenge Grant through HUD’s Office of Sustainable Housing and Communities to conduct the Transportation Corridors to Livable Communities study. 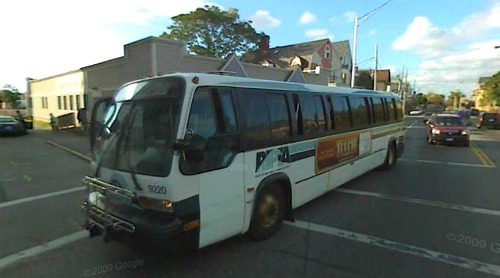 The project will focus on the highest ridership bus routes in the city– Broad Street, Chalkstone Avenue, Elmwood Avenue, Manton Avenue, and North Main Street. Over the next 18 months, the City and RIPTA will be working together to conduct corridor studies to improve transit service, enhance bus stops and other pedestrian amenities, and encourage the development of mixed-income housing and opportunities for jobs and the arts near transit. Once the corridor studies are complete, the City will update and revise the Providence Zoning Ordinance so that it will be an effective tool to implement the corridor plans and the City’s overall livability and sustainability goals. Provide frequent, reliable transit service. Improve access to employment centers, arts and cultural opportunities, and healthy food choices. Encourage development that is concentrated around transit stops and offers a range of housing choices serving a variety of household types and income levels. Encourage the creation of community hubs, unique to the character of the neighborhoods where they are located. Seriously, how long does it take to figure this out? We probably could have funded a third of the streetrail project with all of this money that we’re spending on figuring out “what to do” (no actual math backs that statement, I’m just saying). How many charettes were there? Transit studies? How many decades does it take to figure out how to do what this city has already done in the past? Can’t we just point at old pictures with streetcars and bustling neighborhoods with all the amenities of it’s time and be like “I’ll have what they’re having”? Great point. A lot of time has passed and money spent with the results far off. Didn’t Cicillini first propose the idea for light-rail/streetcar in 2006? If we’re lucky it will be 2015 before the first streetcar rolls through the city. Besides funding opportunities, much of this continuous studying must be about limiting missteps that might jeopardize future federal project funding. The visionary NYC Commissioner of Transportation, Janette Sadik-Khan has succeeded at developing a few hundred of miles of bike lanes and created numerous pedestrian sitting areas within streets, not by studies, but by “pilot project.” She’s achieved this in just 2 or 3 years with no commissions, or economic or environmental impact studies. Sadik-Khan has the full support of Mayor Bloomberg and much of the funding was found from existing city sources. The key to her success was political will and support, and a self-confidence not to defer to the opinions of experts or to follow conventional rules. Today who’s the strong political voice for mass-transit in Rhode Island? Well, to be fair, there is Rapid Bus Service that RIPTA is estimating will be completed and rolled out by this spring. Hopefully this will provide better service, although I haven’t heard any reports on progress.